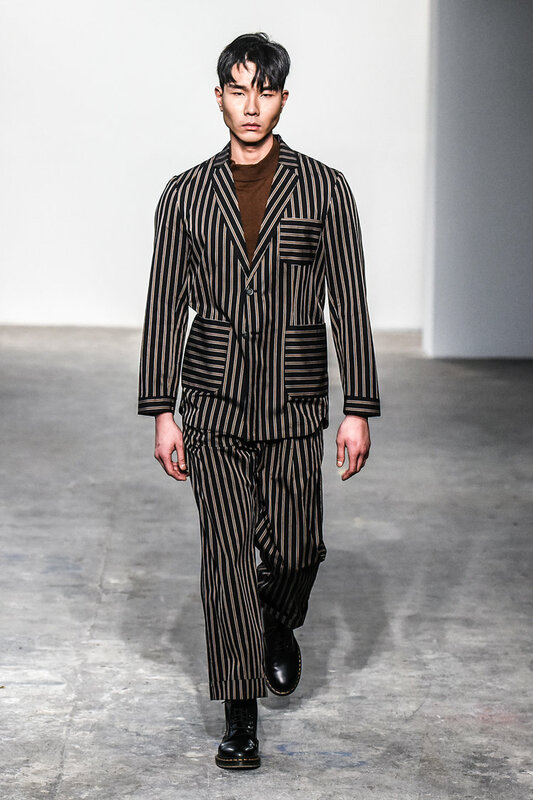 Designer Carlos Campos has been one the true success stories of New York Fashion Week: Men's. 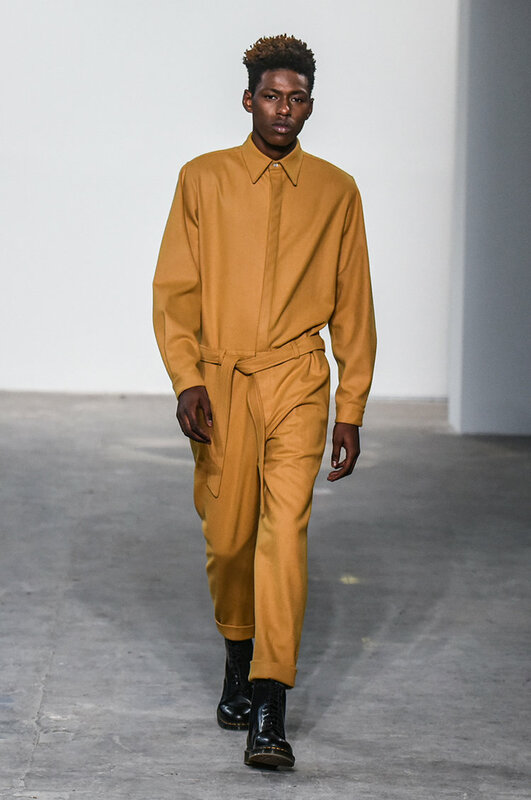 Campos began his journey as a part of New York Men's Day, a group show for upcoming and emerging talent that kicks off #NYFWM. Through the seasons Campos has evolved from group shows with an industry following, to full runway shows with superstar power. Artist, J Balvin. CFDA Chief Executive, Steven Kolb. Artist/Producer, Young Paris. Artist, J Balvin. At his Fall/Winter 2017 runway show Campos welcomed Latin superstar J Balvin, actor Colton Haynes, and rapper/producer Young Paris to his front row. Also in attendance were industry heavy weights Steven Kolb and Eric Rutherford and Nick Wooster. Campos' Fall 2017 collection was about muted earth tones and abstract color blocking. Playing with seam lines to create bold statements in rich mustard and dark grey with oversized canopy print separates. 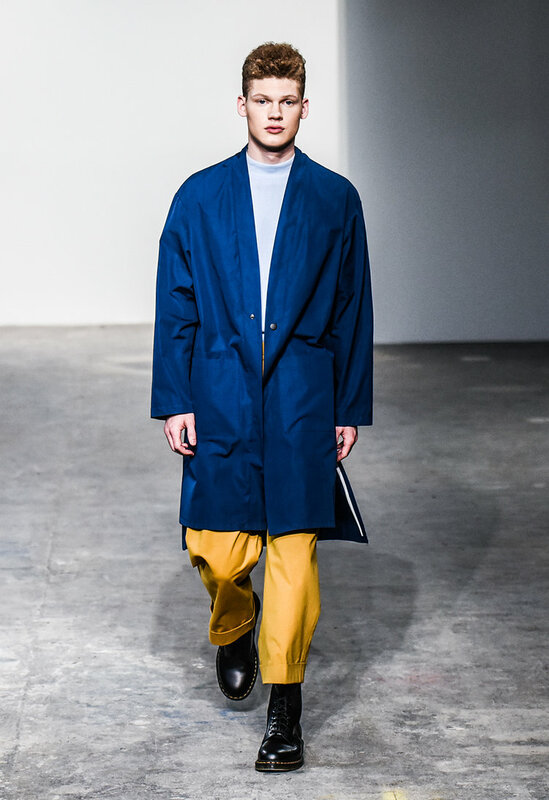 Campos took us on a journey through his vision of relaxed and reworked men's essentials which are signature to Campos' line. 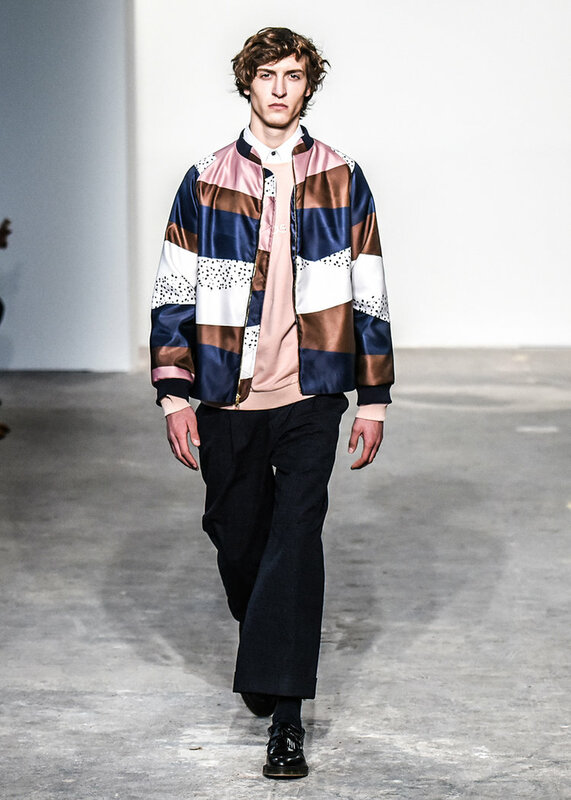 This season colorful bombers and shirting with oversized pockets walked the runway in exaggerated lengths. Making the strongest statement were Campos' reworked outerwear. Robe-like silhouettes in an array of fits and colors dominated the runway adding formality and slight structure to the collection. Images by BLKLN Clothing and courtesy of Carlos Campos. 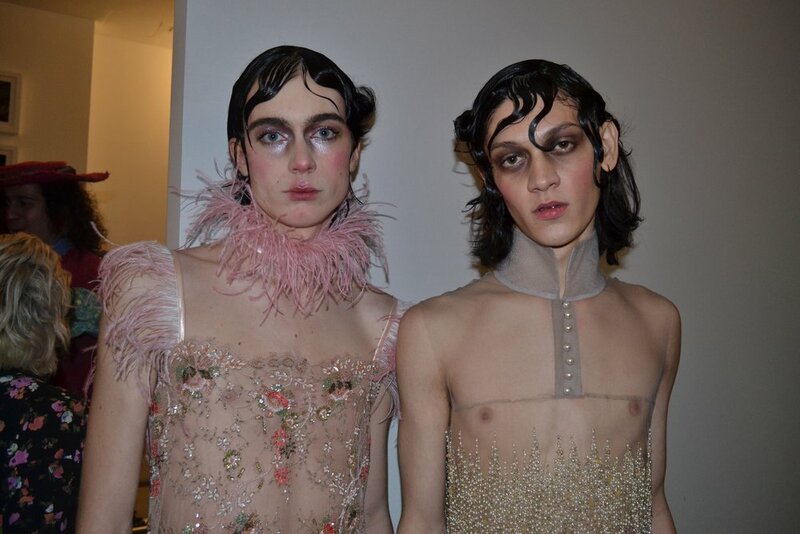 Palomo Spain by designer Alejandro Gomez delivered a progressively minded collection entitled Objecto Sexual that was filled with sensuality, elegance and desire. 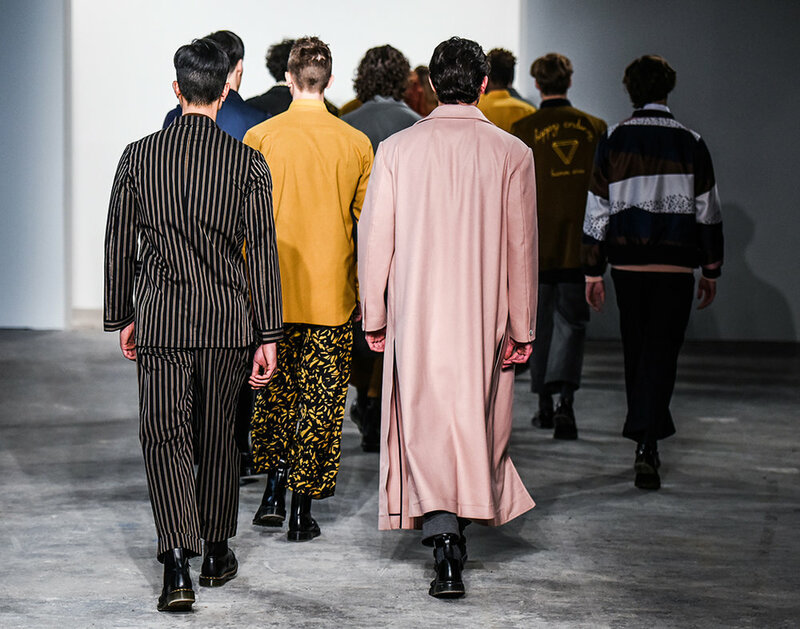 In what was easily one of the most anticipated shows during the Men's Fall/Winter 17' season, Gomez broke gender norms showing traditionally feminine silhouettes as a men's collection. 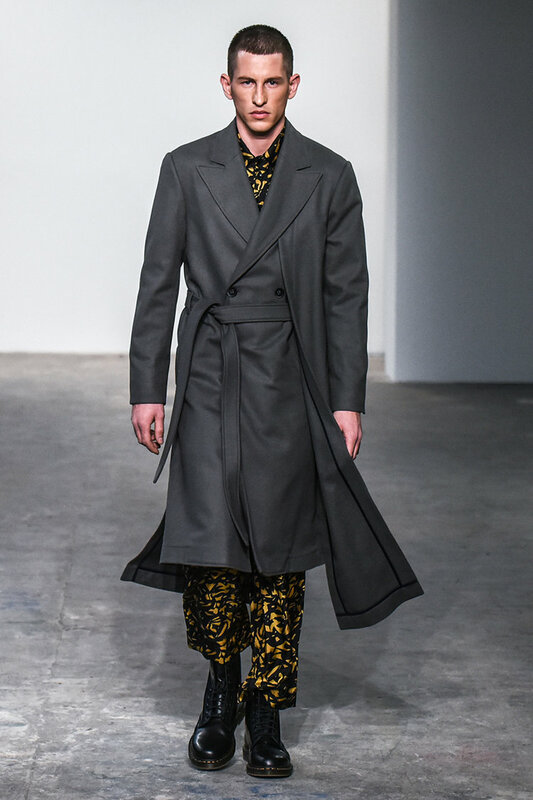 The extensive collection featured everything from pant suits and brocade jackets to lingerie and evening gowns and each look left the audience wanting more. Personally, as someone who doesn't accept traditional gender norms, I have to admit I'm torn labeling this a men's collection. Rather, I'd prefer to think of it as a collection of clothing presented on men. Showing that men in "feminine" form are truly as elegant and sensual as their female counterparts. 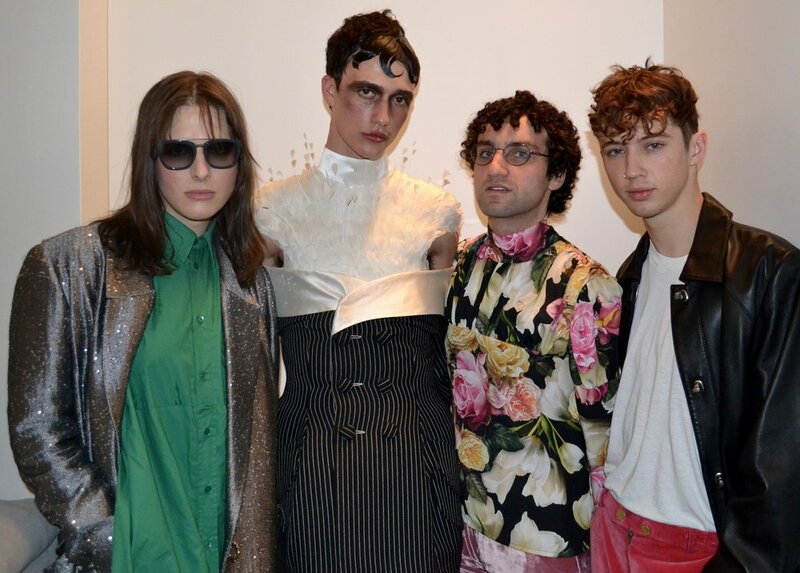 DJ Matthew Mazur, Brian Boy, actress Hari Nef, singer Troy Sivan and artist Ryan McGinley were all in attendance and were equally excited to see boys like clubland fixture Jordan Stawecki and musician Marc Armitano walk the runway. Images courtesy of Palomo Spain and by BLKLN Clothing.